Why Should I Start Investing in an Early Age? Has anyone told you that it’s challenging to start investing when you are young? We beg to differ. Age can’t be a deterrent, if you invest money wisely enough. The ‘start’ is always the most difficult part of any task and investment is no exception. It’s difficult for people of all ages to start making investments, not only for youngsters. Financial commitments never cease to bother you, in whichever age-group you belong to. Therefore, it’s imperative for you to make a regular habit of saving money if you want a financially secured future. To invest money wisely is essential for individuals of all ages but every financial expert will tell you the same thing: it’s extremely beneficial to start investing early as by doing so; you give yourself more time to ride through the ups & downs of the market and can achieve high returns in the process. These days, abundant information is available to make investing money for beginners simple, unlike earlier times when limited resources/information handicapped people. You can have all the information you want, at the click of a button now and decide on the best way to invest your money, as per your distinct needs and risk profile. If you invest money in your ‘20s itself, you will become independent sooner, and you can leave your worries behind, in case you need to counter unseen expenditures in the future. We know that as a beginner, you may not be having enough money to invest with. Don’t you worry! It’s an absolute myth that you need ‘thousands of dollars’ to start investing. 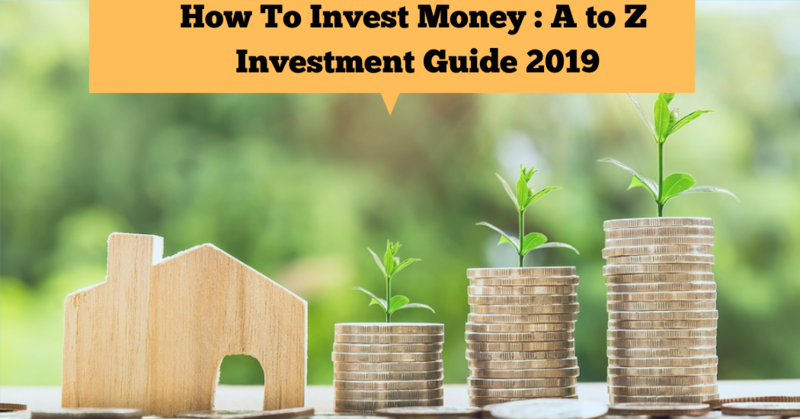 Do keep in mind that you can always make a modest beginning by investing with little money every month and thus, making the investment a regular habit. This way, you won’t be putting too much financial stress on yourself and will be much stronger financially in the foreseeable future. Real estate investing can yield big profits but will depend on how you go about it. It is a safer investment proposition any day as people will need homes to stay and businesses will need buildings to host products and customers for all time to come. As long as this happens, the demand for this physical asset will be there, and hence investment in real estate will remain profitable if you invest money wisely. Peer-to-peer lending is another safe investment to invest money in your 20s as it can be managed by investing with little money. Here, you can lend money to ‘peers’ (other people) through P2P companies such as Peerform, Lending Club, etc. As you spread out your investments over multiple borrowers, you are at less risk even if one borrower fails to pay back. In such cases, other borrowers compensate your earnings. Gold is another crucial physical asset that holds real value and remains one of the best ways to invest money for beginners. It can be purchased as bullion bars and as coins and can be kept in safe custody anywhere. One of the most critical benefits offered by gold is that it can preserve wealth. It cannot be affected by economic developments such as inflation, as happens pretty regularly with the value of the dollar. This is another smart way of investing money for beginners. But you need to keep in mind specific details before you buy your first bond. Bond is a debt investment where an investor lends money to a corporate/government entity at a fixed or variable interest rate for a specified period. The bond value amounts to the money given to the concerned, and the investor receives interest in the bargain. Those mentioned above are just the 4 ways to invest money to make money fast and start your investing campaign. You may choose among other best way to invest money available but, you need to have a basic idea of your preferred method before you start. We would advise you to stick to ‘low-risk’ investments if you are not sure. Don’t lose your heart if you think you do not have enough money to start investing. As we have discussed, you can always make a modest beginning by putting small amounts every month and thus, making investment a regular habit. Saving and investing are intimately connected, and you can start by saving as low as $10 per week. It will size up to be over $500 in a year, and you may put it in an online savings account. When it becomes a sizeable amount, you can withdraw and put it in some proper investment vehicles. Mutual funds are excellent investment options where you can invest money in stocks and in multiple bonds, with one single transaction. Mutual funds are investment securities that allow you to invest in a portfolio of stocks and bonds with a single transaction, making them a perfect tool for investing money for beginners. If you opt for automatic monthly investments in the range of $50-$100, mutual fund companies may waive off the account minimums. You may also make such monthly deposits through your employee payroll. This is an excellent avenue for investing with little money, to begin with and earn interest, till you are ready for those ‘high risk high return’ investments. Also known as ‘savings bonds’, these are fixed-income government securities where you can invest as low as $100 for a period ranging from 30 days to 30 years. You can start by investing just 1% of your salary into your employer-sponsored retirement plan when you have a budget crunch. You won’t feel the ‘pinch’ by spending small and can increase the contribution every year, along with your annual pay rise, to make you more comfortable. You will also get a tax benefit on top of it. If you feel insecure to invest due to lack of prior experience, you may let a roboadvisor invest money wisely on your behalf. This way, you can track your investments through automated intelligence by paying a minimal fee. Many roboadvisors offer ‘low initial investment’ schemes to suit the needs of first-time investors. In addition to the ones mentioned above, there are other ways to start investing with little money, with many app-based and online platforms around. The key is to begin investing somewhere, and you will feel more comfortable as you move along. Let us discuss the best way to invest money with $100, $1000 or $2000. Just imagine the scenario of investing $100 in Facebook when it was still a startup! Investing in startups may look like a risky affair in the beginning but can give you good dividends if done with due diligence. If you are looking to invest money in your 20s and want to grow without much involvement, ETFs and mutual funds are great options. This allows you to invest in a diversified fund, without any minimum. Even if one stock goes down, your money will remain secure as it will fluctuate with the overall market condition. There are real estate schemes where you can invest as low as $100 and get a guaranteed return of 12%. Here, you can invest money to make money fast. Opening a retirement account (IRA) is perhaps the best thing you can do to boost your financial health, with $1000 in hand. There are 2 types of IRAs- traditional IRAs and Roth IRAs. If you have a plan to withdraw your contribution tomorrow to cover for a down payment, Roth is a better option for you. Else, you should stick to a traditional IRA where, you can withdraw at retirement when you are taxed lower. Peer to Peer landing brings people who have money and those who need loans to one platform and allows one to gain profit by lending money. Here, you can also give small amounts and collect interest as a borrower repays the debt. This is one of the best ways to invest your money. Real estate can be an indispensable source of passive income and a useful tool for investing money for beginners if you have $1000 to invest. We know you can’t buy a property with it, but you can still invest in REITs (Real Estate Investment Trust). Crowd-funded reality estate projects are something you can consider too which facilitates spending with little money and allows an investor to participate with funds as low as $1000. If you are setting off with $2000 in hand, you should invest money in stocks, especially in stocks of typically stronger companies and having long histories of paying dividends over 3 % at least. Dividend stocks are the best way to invest your money wb hen the interest rates are low. Index ETFs (Exchange Traded Funds) allow you to diversify your funds with a single investment. ETFs work similar to regular stocks, and you can exit whenever you are need money, albeit, by paying a brokerage fee. These are great options to invest money in your 20s as you can remain prepared to hold on to your investment for longer periods and allow the market to do its bit. Add to your retirement contributions. With the $2000 you have, you can maximize your annual contributions to 401K. The amount put into a 401K reduces your ‘before-tax’ income, and basically, you are getting tax-free money. This is a tried and tested idea for investing money for beginners. Time is an essential ingredient of any saving and investing strategy. Before you opt for a long term or short term investment, you need to know the motivating factors behind and the timeline you are comfortable with. You should also weigh up the amount of risk you are prepared to take, because, a combination of less liquidity and more risk results in a more significant return. With an online savings account (also known as money market account), you can get a potential annual return in the range of 1%-2%. This is more of a saving portfolio than an investing one, where FDIC will ensure your loss of money. These accounts come with higher interest rates (as compared to savings accounts), debit cards, checks, and higher deposit requirements and are one of the best ways to invest money. Bonds are loans you extend to the government or a company and gain an interest in return. Short-term bonds are a useful tool for investing money for beginners as these are not as impacted as the long-term bonds, from a rising interest rate. If you have a long-term horizon (10 years or more), it is a good idea to keep a part of your savings in equities(stocks) as you get the cover for the ups and downs of the market. Equity index funds allow you to maintain a diversified portfolio as they look to keep pace with a market index (unlike an active mutual fund where professional aims to ‘overrun’ the market and you end up paying higher fees for his salary). This is a variant of the index fund where you invest in a share price, not exactly in a fund minimum. This is the reason why these funds are easier to avail with a small investment and easier to diversify as you can buy several funds by investing with little money. In addition to this, they come with all the advantages associated with index funds such as low expense ratios and passive management. This is an investment service that manages your portfolio and is an excellent way to invest money in your 20s. You need to provide details related to your goals, time horizon, risk portfolio and you are given a matching portfolio. Roboadvisors keep rebalancing this portfolio and do due diligence to lower your tax bill. You need to pay a reasonable service fee, usually in the range of 0.25%-0.50 % of the assets being managed, and the expense ratios applicable. 5. How Can a College Student Invest? When a student graduates from college with exposure to investing, he will realize that he has gained tremendously, in terms of the ‘time value’ of the investment made. He will gain essential insights into the activity called ‘investment’ earlier than his peers. When you invest money in your 20s, you will get to learn practical lessons about investment, which can’t be learned from books/websites. Any investor would admit that the ‘start’ is the toughest part of any investing process. By investing early, a college student would clear this hurdle, while still being in college. The first significant step that can be taken by a college student to invest money wisely is to make a small space for saving in his/her limited budget. Do keep in mind that investing is a more significant activity that consists of two processes- saving and investing. It is imperative for any person to invest in growth, early in his life. As a college student does not have too much capital to preserve, the emphasis at this stage of his life is to reach a stage where capital preservation is necessary and invest money in stocks will help accomplish that in the best possible way. This is the reason why most new investors are advised to invest money in stocks, for a start. By stocks, we do not mean individual stocks only. You can also invest in less costly index-based ETFs (Exchange Traded Funds) which hold stocks. The next big decision you need to make before you invest money in your 20s is to whether to opt for self-directed investing or managed investing. Managed investing, in our opinion, is the best choice to invests money in your 20s as a manager will take all the trouble for investing money on your behalf, while you remain focused on your education. With the help of managed investing, you can invest in a fund family (like Vanguard or Fidelity Funds) that puts money into mutual funds. Alternately, you can open your own investment brokerage account and buy mutual funds through it. You can also invest through roboadvisors which are online automated investment services, designed specifically for investing with little money. They invest your money in a investment portfolio determined by a commuter algorithm. The online platform also takes care of all the rebalancing, if required. You can open some of the roboadvisor accounts without any money, and this makes them excellent options for investing money for beginners. 6. What is the best Investment Company For Beginners? There are a lot of investment companies who provide useful assistance towards investing money for beginners. We will have a look at Scottrade, TD Ameritrade Ally Investing - 3 of the top rated investing firms that offer a few best way to invest money. Scottrade has the most extensive network of online brokers at its disposal and has their presence in over 500 locations across the country. Another essential feature of Scottrade is its wide selection of no-fee, no-load mutual funds. This will give the beginners ample opportunity to practice buying/selling, without incurring any trading fee. After logging in, you can have access to the Scottrader Streaming Quotes, its basic trading platform where you can place orders for ETFs, stocks, and options easily. Also, new investors can gain valuable insights about the trade from its educational center and free stock reports on different companies. The educational section of TD Ameritrade provides an excellent platform for new investors to invest money to make money fast. Its ‘rookie category’ contains a wide variety of courses, videos and articles on mutual funds, bonds, ETFs, stocks, personal finance and many more. TD Ameritrade also provides a wide selection of ETFs and mutual funds without any commissions/loads. This offers the beginners a best way to invest money in securities without having to pay any commissions. TD Ameritrade also does not have any mandatory active trader requirements for using its advanced desktop platforms, unlike most brokers. Thinkorswim, its sophisticated trading system can be used by rookie investors without any obligations. It also provides a paper trading version of the software where new investors can practice with virtual currencies. Ally Invest LIVE, the web-based trading platform of Ally Invest can be used by beginners, without any account/trading minimum, to learn on. It also includes a glossary of essential brokerage terms which is a very handy tool for investing money for beginners who are not familiar with security items. Ally Invest is also among the few investment firms that can boast of a customer forum in its site. Here, traders can ask financial questions, discuss ideas and share information. This will help investing money for beginners a great deal. This platform also provides the facility of ‘on-line chat, which is a very useful customer service feature, especially for the new investors. We have discussed three investment companies which are regarded most useful for new investors. These companies have their own ‘strong areas’ too. For the rookie investors who are more interested in ETFs/mutual funds, TD Ameritrade would be a best way to invest money. Ally Invest would be a ‘go to’ option for investing money for beginners who are cost-conscious. It’s common for investors (who want to invest money to make money fast) to look for assets that yields high returns at low risk. A ‘low risk’ asset is one that offers a less chance of losing the principal, but if there is any, the same will be balanced by a higher return than what you will receive from completely risk-free investments. Here, we will discuss a few best way to invest your money, and at the category of low-risk and high return investments. As the name suggests, these are stocks that are assigned a preference over the common stocks. The preferred stocks can stake a higher claim on the assets and earnings of a company than that of the common stockholders. For example, preferred stockholders are paid ahead of normal stockholders when dividends are declared by the company. Also, preferred stocks are more predictable when dividend income is considered and they pay higher dividend yields when compared to the common stockholders. If you want to invest money in stocks, preferred stocks offer less risk even when a company goes through bad times and even when it nears liquidation. Even if the company completely suspends its dividends, preferred shareholders must be given arrear dividend payments before anything is distributed to the common stockholders. A lot of companies offer a higher dividend yield than what is usually offered by completely risk-free investments. Another advantage of these dividend paying stocks is that they let you have access in capital gains and this is over and above your dividend income. The effective combination of capital gains and dividend income can gives you good long-term investment results. Moreover, as dividend-paying stocks belong to the better-established and well-known companies and have a longer history of paying dividends, they are less risky than normal stocks and are excellent options if you want to invest money in stocks. Dividend-paying stocks also provide strong protection against price fluctuations in bear markets. Because of the dividend, these stocks are less vulnerable to steep market declines and this is the reason why they are extremely popular with investors during a ‘bearish’ market. Real estate investment trusts (REITs) are variants of mutual funds that indulge in real estate investing. Through REITs, you can invest either in one single property or in a number of real estate projects located in diverse geographic locations (hence, you get the much-needed diversity). REITs are excellent propositions when it comes to low-risk and high-return investments as you get tax rebates and dividends that are usually higher than those associated with risk-free investments/ dividend-paying stocks. There are lots of legitimate ways to make money online without any investment. Let us discuss a few which you can start implementing right away. You can earn money through affiliate marketing in spite of not having any of your own products/services to sell. Here, online merchants assign an affiliate or associate website/ link for affiliate tracking to you along with all the necessary marketing help and support. You are assigned the task of promoting the aforesaid company, in addition to its products and services through your own blogs/websites and/or social media platform links. In lieu of your ‘services’, you will earn a few extra bucks as commissions/perks whenever any purchase is made by a customer through your personal communication channels. You do not always need to invest money to make money fast. You can get some extra bucks for making searches on the internet as well. There is a program named ‘Bing Rewards’ in Bing.com which lets you earn credits for searching on the Bing.com site or trying their new or improved features. You may even redeem the credits as rewards (such as gift cards, vouchers etc). Against every search you make, 5 points can come your way. More information can be availed on the “Bing Rewards” homepage. Many companies have certain programs where you need to test their sites for performance and help them with your opinions and feedbacks. These are simple tests which you can carry out in your leisure too. Companies like UserTester offer good money if you can offer your valued opinions to them. In case you have, up your sleeves, a brilliant money-making idea/information or you are a subject matter expert in any field, you can earn money online by sharing your expertise through Skype, video conferencing, webinar technology and other similar tools. You can also impart your consulting/coaching sessions via group coaching calls, mastermind meetings and even through one-to-one coaching calls .You can also offer highly personalized solutions catering to specific needs/queries from individuals, by asking for a heftier charge. Lots of big brands and market research organizations and are actively on the lookout for opinions on available products and/or services from different segments/cross-sections of people, and they are ready to pay good amounts for the same. You may chip in and earn good bucks here. You can carry out extended research on one or many of such reputed survey companies (InBox, Swagbucks, prize Rebel, and so on) and continue to work for the one that can offer you a wide array of survey assignments to accomplish, of course, with a decent enough remuneration. You may start earning money right away as soon as you register with them, absolutely free. But, we would warn you from illegitimate/fraud companies and/or scam opportunities, which may require you to make some upfront payments as joining fees.